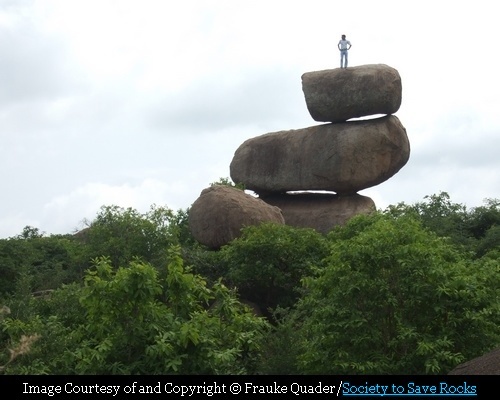 Nature has gifted Hyderabad with a magnificent landscape of amazing rock formations. Being at the heart of the Deccan Plateau in Southern India, the rocks in the region, mostly granite, are about 2,500 million years old and are amongst the oldest and hardest rocks in the world. Weathering effect of several million years resulted in splitting and rounding of the stones into amazingly balanced and picturesque rock shapes. Geologist call this phenomenon - onion peel weathering (or spheroidal weathering). There are innumerable rock formations of varied shapes in whole of Deccan Plateau including Hyderabad and surrounding area. In this post I am showcasing only few of these Amazingly Balanced Rocks. Location of these Rocks are presently not known. 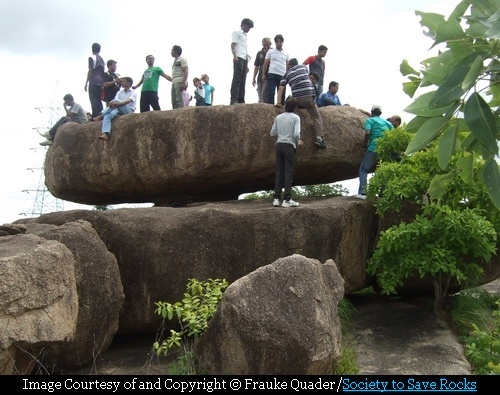 I request my readers to please help me in identifying locations of above three rocks. Note: Hyderabad is full of such amazing rocks and presently I have showcased only a very minuscule sample. 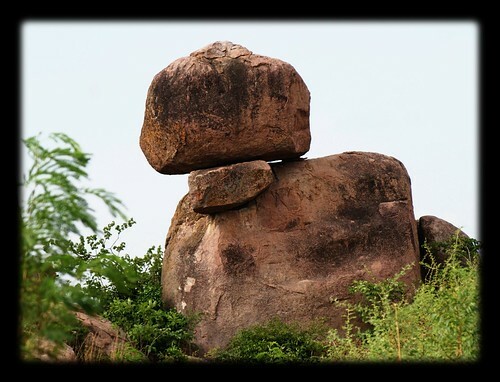 I will be grateful if my readers can send me photographs and locations of other balanced rocks for inclusion in this blog. I understand that land developers are gradually destroying this amazing natural landscape and my endeavour is to at least preserve these in pictorial format for posterity. In this reference I want to make a special mention of Ms. Frauke Quader a German born lady now settled in Hyderabad. 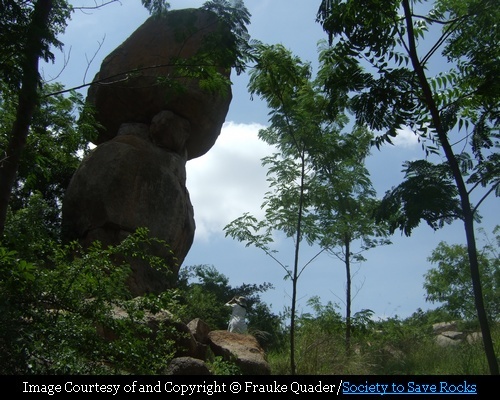 Dismayed by indiscriminate destruction of the natural and environmental heritage of the area, she along with a group of artists, photographers and environmentalists from Hyderabad formed in 1992 a Non-Governmental Organization - Society to Save Rocks. The society's main aim is to create awareness amongst the public, landowners, developers and the government for the protection of this rocky landscape. Ms. Frauke Quader for sending me some of the images from her collection.